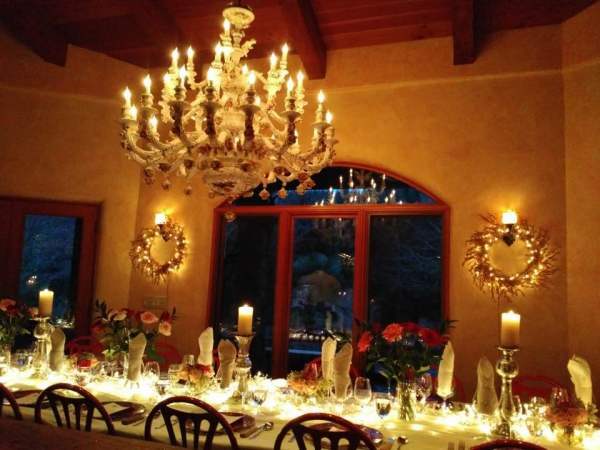 The Pfeiffer's extend an invitation to your private group to their home for a memorable and unforgettable evening. Enjoy a five-course menu with entrees grilled over old grape vines on an outdoor fire. ​​Enjoy candle light and fire light, company and conversations while sitting at one long bountiful table. Sip exquisite wines selected from the Pfeiffer cellar, each beautifully paired for each course. Linger by the patio fire for dessert. Private groups with a minimum of 12, please. $160 per person + 20% gratuity.